That the "DC You" initiative only lasted one year turned what were ostensibly ongoing series into twelve-issue mini-, or perhaps "maxi-", series. This had a curious effect on their trade collecting, for instance the "Robin War" crossover that perfectly bisects a number of Batman-spinoff collections. In the case of Midnighter, this gave us a longer first volume that was in many ways beginning and climax to the story, and a shorter second volume almost entirely devoted to epilogue, with the unusual collecting structure itself lending to the experimental themes of "DC You." Black Canary Vol. 2: New Killer Star is somewhat in the Midnighter model, where the first volume was really the star of the show -- Black Canary on the run as lead singer in a band -- and the second volume is ... something else. Perhaps in the parlance of Geoff Johns's JSA series, we might call New Killer Star a "down trade," the calm before the next big storyline, which in this case of course never came. Given that, New Killer Star marks an odd departure that largely leaves Dinah Drake's band-playing behind for what's a more superheroic story that heavily involves Batgirl Barbara Gordon. There are enough elements of what made Brendan Fletcher's first Black Canary volume good for this follow-up to feel something of a piece, but the stark differences are equally surprising. Given Black Canary Vol. 1: Kicking and Screaming's music-heavy ending -- the band Black Canary defeating an alien monster with singing and well-thrown cymbals -- this book's opening chapter of Canary fighting her way off an island through cult members is immediately disorienting. The band is present on less than a half-dozen pages in the first chapter, not at all in the second, and then held comatose by a villain's thrall until almost the end. Instead, there's a lot of Dinah fighting here, on her own and in team-ups with Vixen and Batgirl, incongruously making this feel more like a traditional Black Canary title just when Fletcher's finally persuaded us to expect otherwise. In some respects, given the Batgirl-heavy second chapter and then Batgirl and her cohort Frankie's presence throughout the rest of the book, New Killer Star seems to pay deference to its spin-off origins. Batgirl of Burnside serves as a "backdoor pilot," as it were, for Black Canary, but Kicking and Screaming didn't make much of this aside from a Frankie cameo. New Killer Star ties the Black Canary title much tighter to Batgirl -- to the extent that the title character is almost overshadowed by the guest star -- and in that way essentially to the DC Universe as a whole; I had thought Fletcher was headed for an appearance by the robot Batman Jim Gordon, though it didn't manifest. Again, had this been only the second collection of many, Kicking and Screaming and New Killer Star might've formed a thesis in total, that Canary is about rock musicians on the road but don't count out a Wonder Woman appearance, but it's hard to say with just the two books as evidence. But even as kung-fu to a large part overshadows music here, Fletcher's second Black Canary volume isn't wholly unfamiliar, either. Though the art does lose a step without first-volume artist Annie Wu, the main story has two climaxes that are each nicely psychedelic in the fashion of Kicking and Screaming's endings. As well, returning to one of Kicking and Screaming's strongest points, the main-story's final chapter is another mostly-realistic music-business tale, here of an aging singer continually trying to recapture the fame of her youth (while demons eat the world in the background). I praised Kicking and Screaming for a chapter where Fletcher let musical musings overtake the sci-fi, and I'm glad he did it again before this book closed. New Killer Star ends with two "bonus" stories, a Canary-focused short from Gotham Academy and the flashback ninth issue of this series, which editor Robin Wildman wisely shunted to the back rather than have it interrupt the flow of the main story. The Gotham Academy story is sweet as it goes, putting Canary in context with Academy and reconciling Academy's Heathcliff's presence in both books. The difficulty, perhaps mitigated in Academy, is that Heathcliff's girlfriend Pomeline is never terribly nice to him, even when he acts very romantically here, and so it's hard to wholly root for the relationship when the reader shouldn't really want these two characters to be together. The "lost" chapter is a jocular inventory issue by Matthew Rosenberg, with art by Moritat, that's essentially a joke about Black Canary resisting the urge to bust heads at a gig filled with supervillains. In some situations a one-off issue by a different writer might annoy, but separating it from the main story helps this. If anything it's something of a relief to see the whole band back in action one more time before this book closes, and so Rosenberg's issue here adds rather than detracts from Fletcher's wobbly second act. It's good that DC included the Batgirl and the Birds of Prey Rebirth issue at least to tell interested readers where to follow Black Canary next. There is a shout-out to Canary's band here, but the focus is on Batgirl, and Canary comes off as a curmudgeonly sort that I think is a construct of the New 52 and/or the Burnside era and doesn't feel totally true to the character to me. I do at the same time give writers Julia and Shawna Benson credit for positing Oracle as "us," both Batgirl and Black Canary, and also for a Rebirth special that realigns the characters' history, in the spirit of the "Rebirth" series of old, which most other titles did not do. Black Canary Vol. 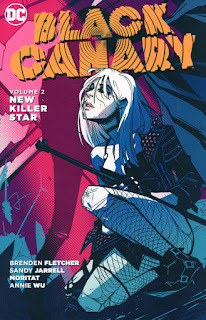 2: New Killer Star is very far from what I expected from Brendan Fletcher's second Black Canary volume. I'm not even certain it works all that well, despite again that this book is more like what I might have thought a Black Canary title should've been like at the outset. But at the same time it does show Fletcher's range on this title, all the different ways he might have stretched the Black Canary concept, and one of the reasons I'm sorry this title ended is that I'm curious to see what the fiftieth or hundredth issue of Black Canary might've looked like. I don't have high hopes for the longevity of rock singer as part of Canary's character, but Brendan Fletcher's two volumes have been an interesting outing. Read a far better review of Black Canary #12 and this book as a whole than I could write, by Véronique Emma Houxbois at Comicosity. Are there any allusions to David Bowie in any of this, or are they just pulling random song titles for the trades, a la "Degrassi" episodes? 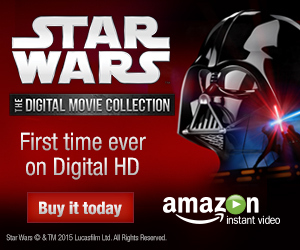 I thought at some point this series had an issue dedicated to Bowie. See the Comicosity link above for more on Bowie allusions. This was a great run with great potential that ended too soon-- the kind of bonkers idea utterly committed to that makes for the best superhero comics. I've loved Dinah since I first encountered her in GA comics over ten years ago, and I loved her more than ever in this. Different but also the same, the very best kind of reboot. Well, having only two pages as reference, I can tell you that all of the dialogue on that second page is taken verbatim from the film "Ziggy Stardust: The Motion Picture", recorded in 1973 but released in theaters ten years later. The quote is even on the old vinyl soundtrack album. Bowie announced his 'retirement' from the stage without having previously told the band (except for guitarist Mick Ronson) or his label, which had him under contract to deliver two albums a year for ten years, and he had eight years to go.